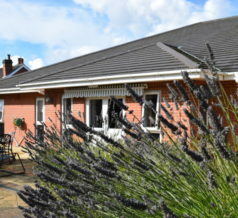 Situated in a private residential area close to Swadlincote town centre, Valley View provides residential accommodation for up to eight adults with learning and physical disabilities. 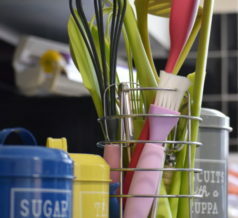 The home offers a secure, comfortable and welcoming environment where we aim to recognise the individual needs and wishes of each resident, whilst at the same time helping them to live amongst a caring and happy small community. The home is a purpose-built specialist bungalow with every bedroom decorated to our resident’s individual wishes. Each bedroom has specialised furniture and four of the rooms are equipped with fully automated ceiling hoists to the ensuite bathrooms. In addition, the home has specialised bathing and showering facilities. The bungalow has been decorated and furnished to a very high standard, which contributes to the homely and friendly nature of the home. There is a large lounge, dining area and a designated sensory area that that also acts as an activity space for the residents. 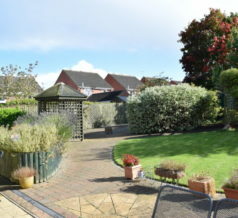 To the rear of the property there is a large patio area and beautiful sensory garden which has full access for wheelchair users. The garden offers a wide choice of seating areas and in warmer weather is a lovely place for relatives to visit and enjoy. At Valley View we are totally committed to delivering person centred care. As a team we strive to go the extra mile in delivering care to our residents – we want to make a real difference to the lives of the people we support. We believe that delivering quality care is not simply about looking after someone in a pleasant and well equipped environment, but going further. Each resident’s needs are fully assessed and care plans and risk assessments are put in place that set out to support their individual needs and wishes. These are regularly reviewed and updated to reflect everyone’s changing circumstances. We really get to know our residents' and help them feel positive about themselves. We also want families’ involvement to be a part of the care we provide. Valley View operates an ‘open hours’ visiting policy, and we encourage visiting at any reasonable time of day. We want family and friends to become a part of our community and visits can be made private if someone wishes. When family members are unable to visit, we will endeavour to offer home visits whenever possible. We undertake a wide range of activities providing stimulation and interest for all our residents. These are organised by a full-time activity coordinator. As well as activities within the home we also regularly organise trips out for our residents. We learn what they like, what they can do, and help them to achieve it and to build on their confidences by giving them opportunities to do so. We are committed to them and their families for the whole time they are with us, ensuring they are supported, comfortable, safe and secure in their surroundings. We offer a very high standard of care for everyone, delivered by an experienced and committed team, who do everything they can to make our resident’s lives as rich and fulfilling as possible. Despite a person's disabilities we thrive to ensure they have quality in their life, and this means a life well worth living. Say Goodbye January – Hello New Job!